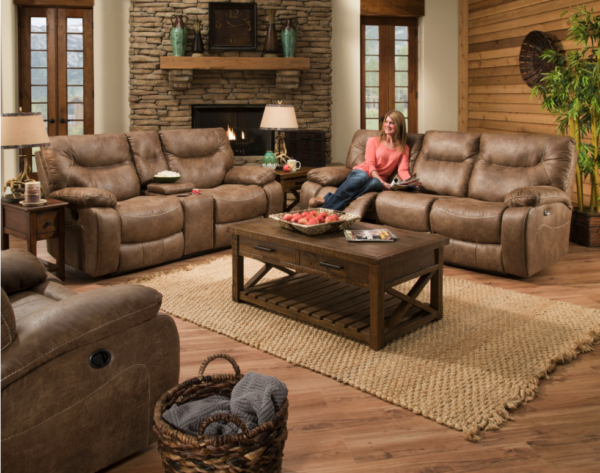 Double motion sofa with beauty rest pocketed coil seating. 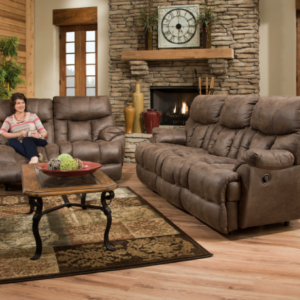 Oversized with pub back and detail stitching, padded barrel arms, and a fully padded chaise. Covered in a soft polyester cover with a leather look. Two reclining seats. Beauty rest pocketed coil seating. 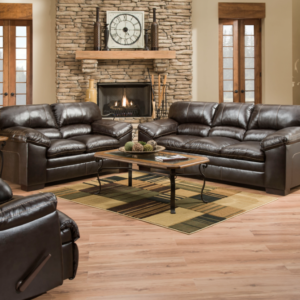 Covered in a soft polyester cover with a leather look.